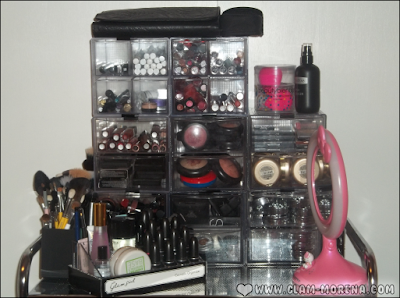 Glam Morena: My Makeup Setup & Organization. My Makeup Setup & Organization. I recently purchased new makeup storage and finally got around to updating how I organize my makeup. My makeup was in way too many containers. This was something I was in desperate need of doing because I wanted all my makeup to be in one spot. 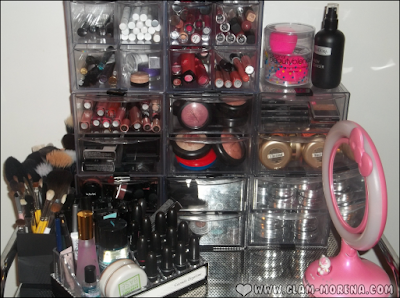 This post is dedicated to my new makeup setup and organization. Seeing how I organize my makeup has been highly requested for me to do. I'm really pleased with how my makeup collection looks now! 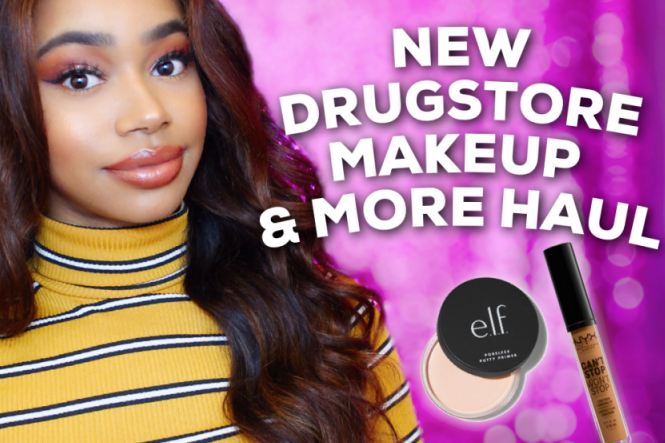 If you're curious to know where I purchased everything be sure to watch the video! 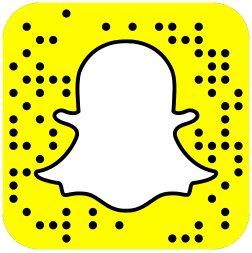 How do you store and organize all of your makeup? I use one of those drawer stands, but I have a single row. Other than that, I have a desk I use as a vanity and I keep my most-reached-for items in the front (pencil) drawer. 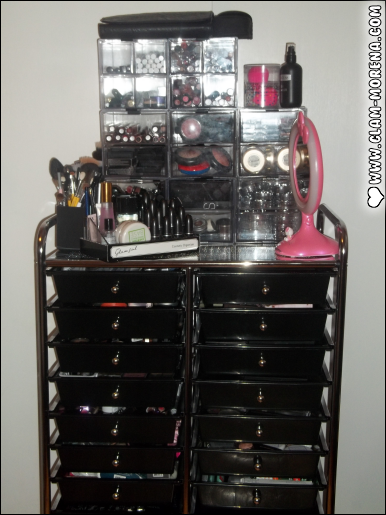 Wow, you have a lot of makeup lol...Love your storage and organization! Thanks for finally posting this! Everything looks nicely organized, and I really love those small clear organizers, they look so much better than the regular sterile drawers that I use. OMG You have so much make-up! I use one drawer and that's it.. So organized! Looks beautiful, Rai! I really like your setup! Especially the acrylic containers. I too am guilty of having makeup scattered so I want to find some similar containers & eventually when I get a bigger space I want an Alex unit & a vanity. ** where did you buy this stuff again? ** haha juuuust kidding! love your organization and your collection.. i always love seeing these types of blogs/and videos. I organize my makeup with Muji drawers. Love them although I wish they were deeper. I have a small makeup train case that I use for my makeup. Althou I need to update my size, I dont have nearly as much makeup as you. I would love to spend a day and play lol. I love your makeup station. like daaaaaaaaaaag. i guess you need it all since you do give us awesome reviews.